What are some of the new season’s offerings from LRG clothing? Are there any new creative designs? Let’s find out! LRG has distinguished itself as a manufacturer of quality street wear over the last one decade. The company has always strived to produce the best of urban culture clothing. LRG unveils new collections every spring, summer, fall and winter. LRG stands for Lifted Research Group. The company was founded slightly over a decade ago to cater for the ever bulging urban wear market. But unlike other urban wear manufacturers, LRG targeted skaters and partly hip hop lovers. The skating community had largely been ignored by mainstream fashion manufacturers. Most manufacturers never bothered to produce gear or apparel primarily for skaters. The company has pushed the limits of urban wear with unique designs. LRG produces stylish apparel such as t shirts, jackets, polo shirts, denim etc. Quality jeans are provided through LR Gean. The company broke new ground in 2005 by producing a clothing line for women. Known as Luxirie by LRG, the clothing line is dedicated to everything about women in fashion. Some of the offerings in this line include stylish tops, jeans, outwear etc. LRG’s long list of creative concepts has kept it afloat for ages. This year’s offerings also featured new designs for women. New arrivals for men include custom shorts, shirts, trousers and jeans available in several color offerings. The summer collection features some quality shorts and tees for catching the sun. But if sunbathing isn’t your thing, there are other quality shorts offerings for regular wear. The Khaki shorts are most recommended for that purpose. A nice pair of Wolfgang shorts can be worn literally anywhere. For a truly unique look, you can wear shorts with LRG cotton polo shirts. However, LRG cotton shirts can be worn with virtually any apparel. The women’s clothing line had unique bottoms, dresses, sweaters and tops as part of its summer collection. Of course these featured new designs with influences from some past creations. Some new tees for women include the Luxirie Short Sleeve Collared Giraffe Polo. For the truly fashion conscious female, how about looking hip in a Luxirie Roots of Love knit top? 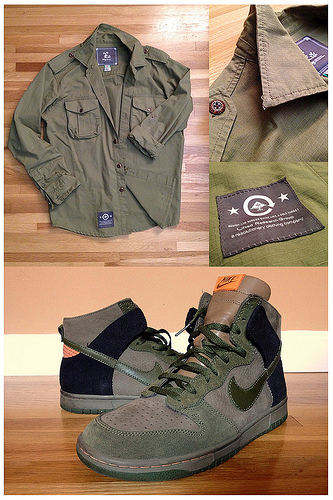 Finding the right LRG clothing takes a number of considerations. When shopping for quality clothing from LRG, consider the following. The first thing you want to be sure of is comfort. Comfort overrides everything else because oversized or undersized clothing can be an embarrassment. Find clothing that rightly fits your stature. Unless you are a hip hop artist or rapper, please keep off baggy clothing. Comfort also means being confident in what you are wearing. If you are conservative, go for moderate designs. But if you are a bold go getter, let nothing limit your choices! The second most important consideration is size. Even when buying skinny jeans, size still matters. Get it right and you will look hip, get it wrong and you end up looking like you borrowed your elder sibling’s clothing. Other than size, you must also pick clothing that matches your skin tone. Find something that at least complements your skin tone. But don’t mix up colors so much. Keep it simple. J-Bees are an international retailer offering Urban and Street Wear from the world’s largest fashion labels. Among other brands, they’ve got LRG clothing.